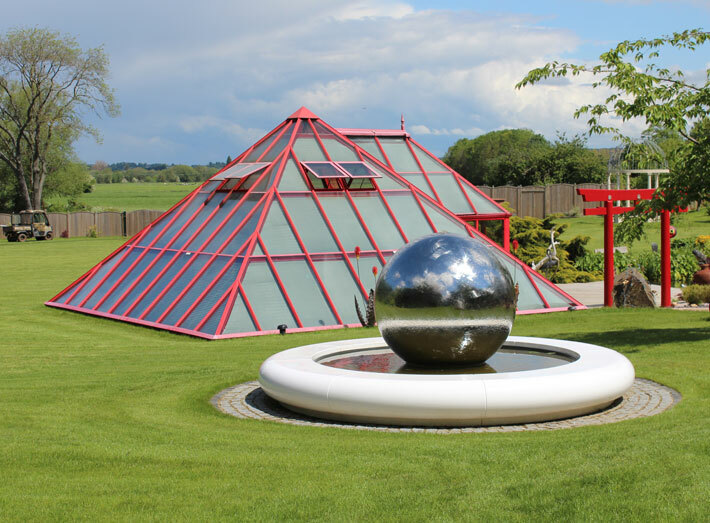 Our striking Aqua Corona modern water feature has been installed into the home of one of the world's most investigated and celebrated mystifiers, Uri Geller. 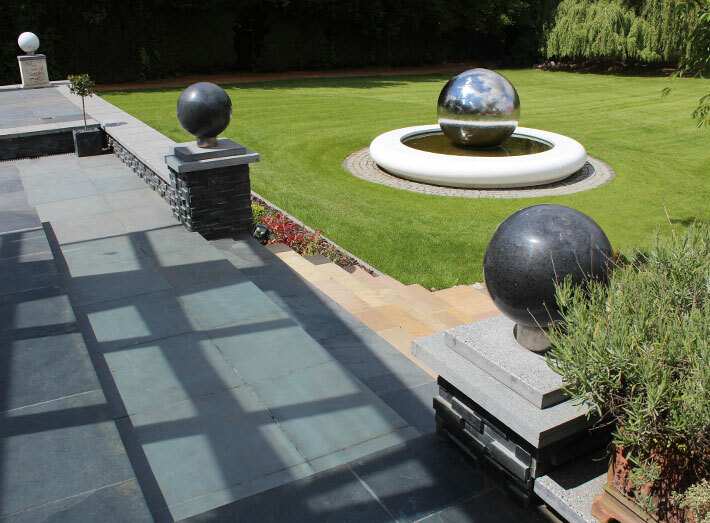 Famous around the globe for his mind-bending abilities, Uri Geller, specified the contemporary water feature to sit alongside his outdoor modern art collection within the extensive grounds of his luxurious Thames-side home. Uri was searching for a 'designer-piece' to create an added focal point to his outdoor living area, and to double-up as a seating option for guests at his summertime garden parties. Uri Geller says: "I wanted to create a bold dramatic statement, but also wanted a unique piece that was comfortable and made to an exceptionally high quality. I had searched the marketplace and found nothing to match Sui Generis' circular water feature. 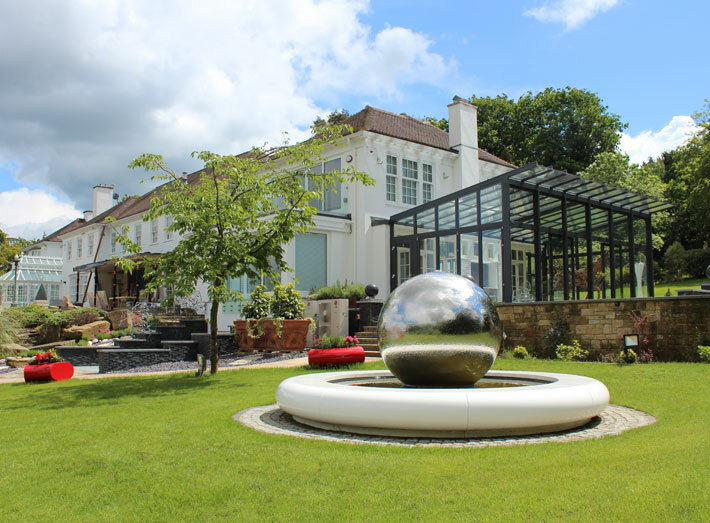 It also provided the perfect home for my spherical art sculpture too." Sui Generis, adds: "Once again we're delighted that our GeoMet collection has been chosen to add beauty to a very special landscape. I understand how much Uri's garden means to him and it is an absolute pleasure to have worked on this project." 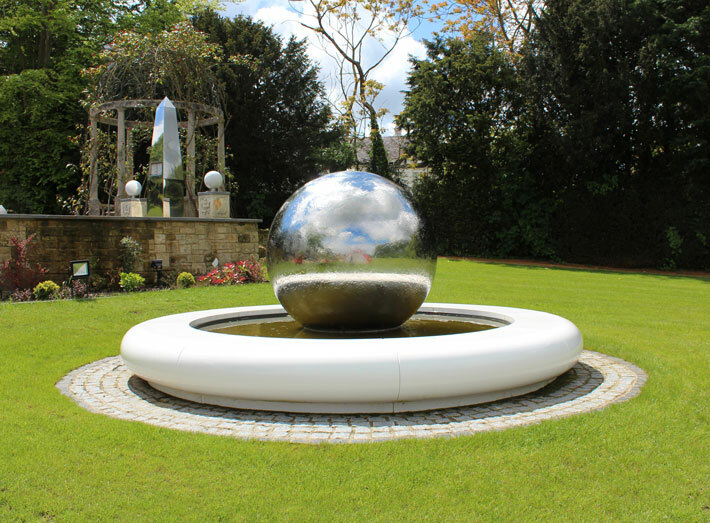 Aqua Corona is a circular hand-crafted water feature designed to transform domestic, urban or commercial landscapes. 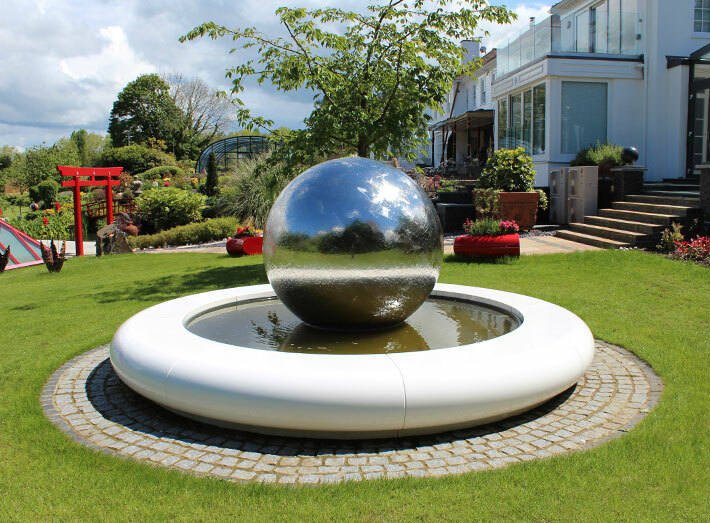 We also offer the Corona Semi-Circular water feature and both are handcrafted in the UK, highly durable and require the minimum of maintenance. 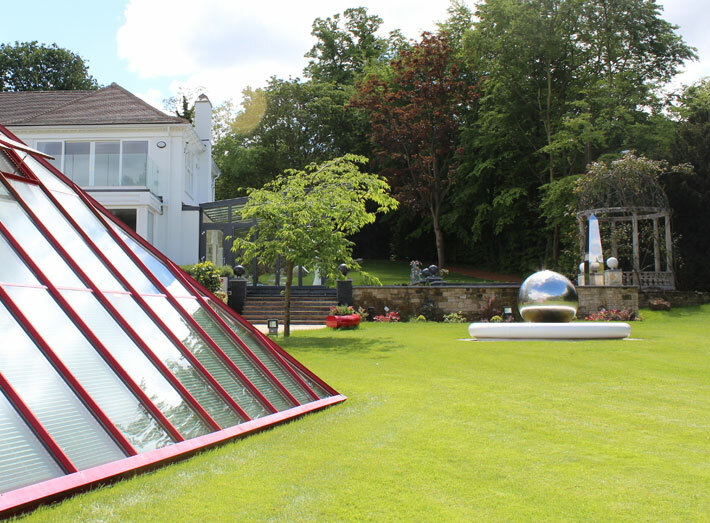 Our striking Aqua Corona modern water feature has been installed into the home of Uri Geller. 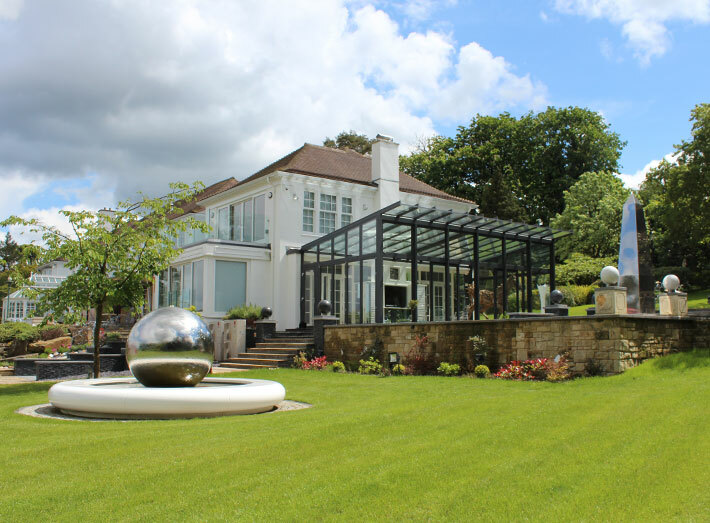 The contemporary water feature was specified to sit alongside an outdoor modern art collection. A designer-piece to create an added focal point to the outdoor living area. The Aqua Corona Water Feature also doubles-up as a seating option. 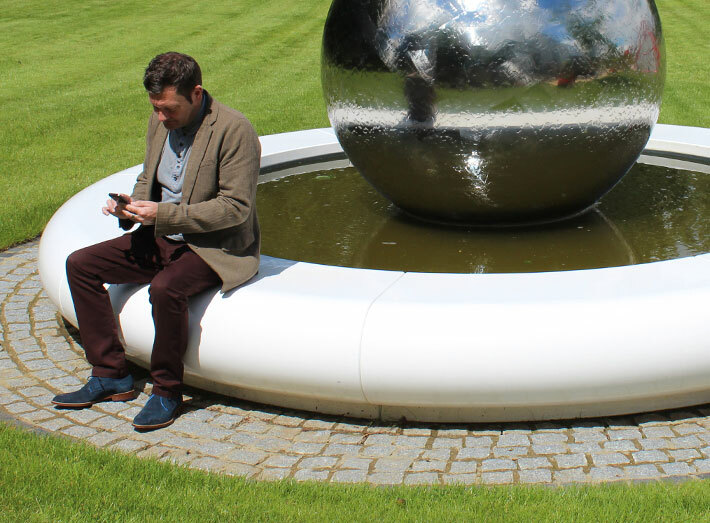 A circular hand-crafted water feature designed to transform domestic, urban or commercial landscapes. Highly durable, weather resistant, our water features require the minimum of maintenance. 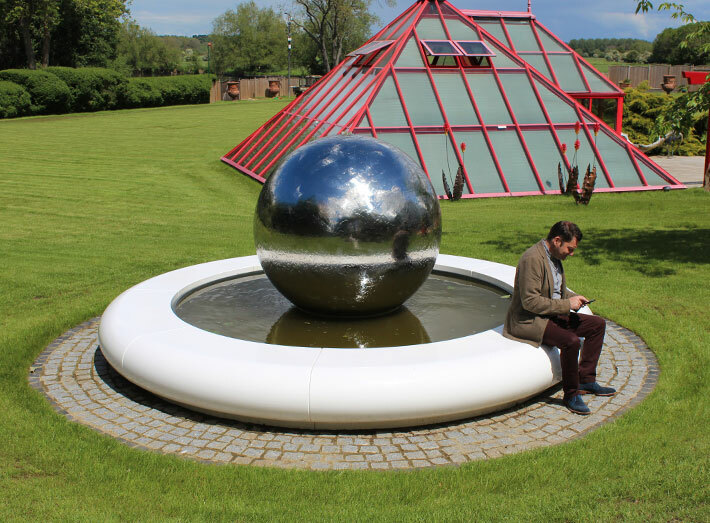 The water feature also provided the perfect home for Uri Gellers spherical art sculpture too. Transform outdoor living spaces - relax, unwind and socialise. Aqua Corona pond style water features. "I wanted to create a bold dramatic statement, but also wanted a unique piece that was comfortable and made to an exceptionally high quality. I had searched the marketplace and found nothing to match Sui Generis' circular water feature. It also provided the perfect home for my spherical art sculpture too."